Christalla and I have been in Cyprus for the past month. We purposely reserved the first two weeks of our stay to rest and enjoy the beautiful spring weather here in the village of my birth, Lysos. Christalla and I recently celebrated 43 years of marriage, all glory to God! We continued our ministry on Saturday the 12th of May with the gathering of prayer facilitators. 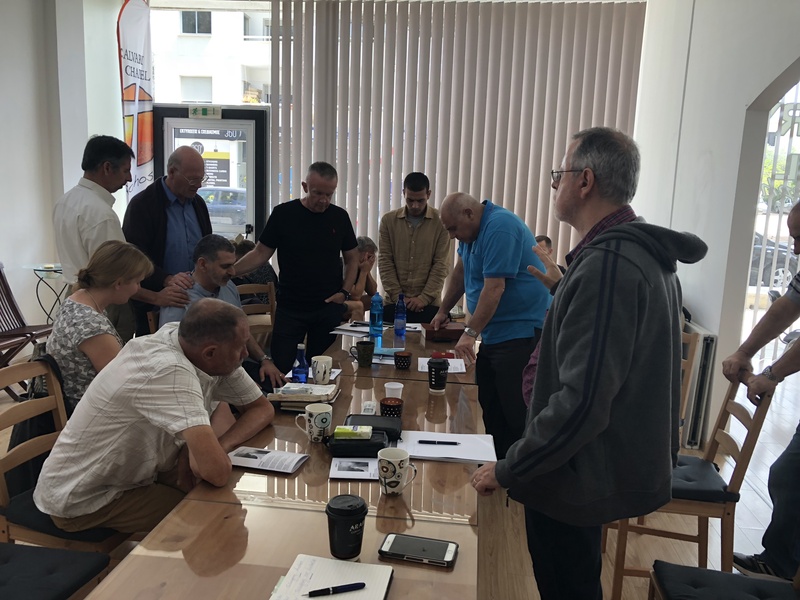 A number of pastors and leaders attended, joining us from the various regions of Cyprus (Larnaca, Nicosia and Paphos). After a time of fellowship and prayer, it was made clear to us by the Spirit that a cloud of discouragement was hanging over the ministry and particularly over the shepherds of the flock across the Island. As we waited on the Lord, the Spirit gave us a clear understanding of the spiritual atmosphere that envelops this Island making it very difficult for Pastors to continue in the work of the Lord. Some of them opened up and shared how difficult it has been for them to continue their ministry in recent times. We specifically prayed for those who requested prayer and encouraged them on this journey of faith. Based on what was revealed at the prayer meeting we decided to hold an additional, much broader gathering. This time inviting an increased number of pastors from across the Island to join us in a time of fellowship, prayer, and mutual encouragement. This gathering will take place on Saturday the 16th of June in Larnaca. During our time here it has been made clear to me once again that as a servant of the Lord I am sent to the Church in Cyprus to serve the way the Lord has gifted me to serve. I love this Island and consider myself honoured and privileged to serve God’s people with the grace He has given me. Thank you for your continued support in prayer and financial assistance in making this possible.